You are on the right website if you are looking for electrical services in Palm Beach or any other nearby community. Our company, Kasper Electrical, is a local, family owned and operated business. We have been around for over forty years, and this level of longevity says a lot about our customer satisfaction rate. When clients engage our services for the first time, we ultimately become their electrician for life, and we treasure the relationships we have built. We proudly serve members of the business community, and we offer a wide range of different commercial electrical services in Delray Beach, Pembroke Pines, and beyond. Are you engaged in a new construction project? We have experience with municipal and government contracts You can rely on us. Indoor and outdoor lighting installations and repairs are also in our wheelhouse. We can be called upon to provide energy saving lighting solutions. Service calls with extreme heights are no problem for our electricians. We offer bucket truck service, and we prioritize emergency situations. Over the years, we’ve found that regular maintenance can address small problems before they become big ones. 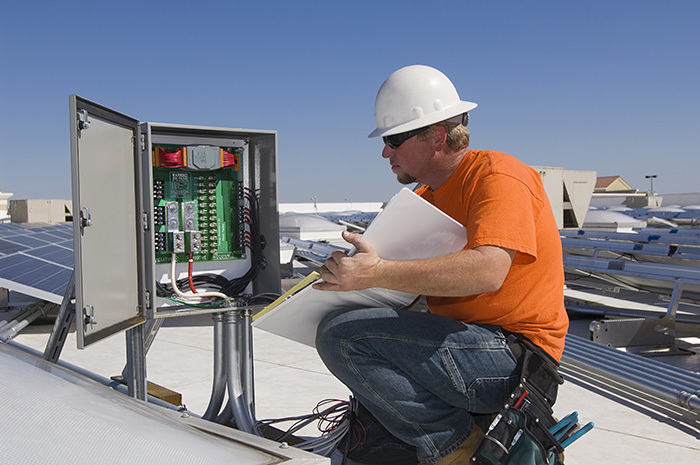 As a response, we offer low-cost maintenance agreements for our commercial clients. Our residential electrical services cover a broad range of solutions. A common residential electrical service you may want to consider is a home generator installation. Severe storm damage is always looming during the hurricane season. Having a home generator installed professionally means you won’t have to worry about downtime during power outages. South Florida is a boater’s paradise. Many people enjoy spending time on the water with family and friends. If you need a reliable marine electrician for your vessel, we’ll get the job done quickly, efficiently, and affordably. For electrical services in Boynton Beach, Delray Beach, Lake Worth, Pembroke Pines, and Wellington, Florida, Kasper Electrical is the right choice. If you would like to discuss your electrical service project with a knowledgeable member of our team, we can be reached by phone at 844-527-7377. You can also complete our contact form to send us a message.